The grade point average (GPA) is a numerical representation of an autonomous researcher's overall academic achievement especially for the employer to understand how much knowledge the autonomous researcher has for doing the job he seeks or for doing the job offered to him. It is obtained by assigning point values to specific grades and multiplying these values by the number of hours received in that course. 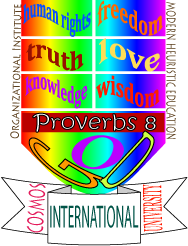 Being the leader of modern heuristic education system, Cosmos International University's evaluation of researchers' GPA depends on the total hours of practicum on the job that is connected with the researcher's specialization, working hours, oral presentation skill and assignment or dissertation, if there is any. 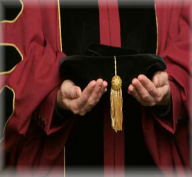 Researcher's ability is assessed carefully so that there would be no difficulties or mistakes when choosing the autonomous researcher for a position after graduation. We believe it is more reliable and more comprehensive than using traditional examination system to judge a person's ability and capability.